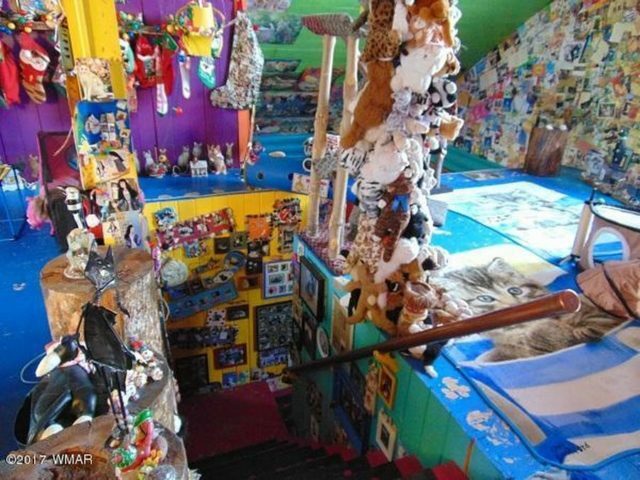 Don’t get catty – while this house looks normal on the outside, there’s plenty of Wednesday WTF on the inside. We promise. I’ve been doing these Wednesday WTF features for a few weeks now and I think this is the first to render me nearly catatonic. Meet Catopia. 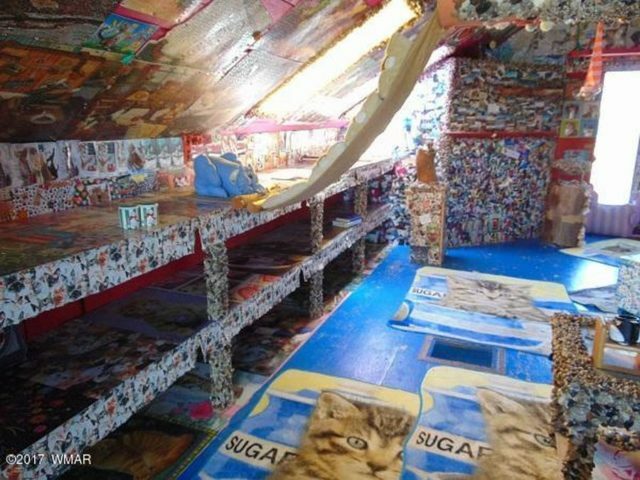 Nestled in the middle of Concho, Ariz., this two-bedroom, one-bath home is 2,500 square feet of … something. And it’s the thing that has assured me that as long as I draw breath, I will always be able to find a Wednesday WTF. 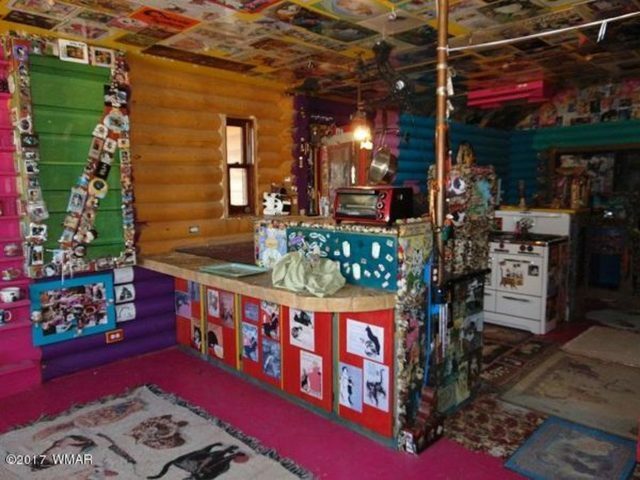 Realtor Sara Reidhead of Century 21 High Country calls this contemporary eccentric. 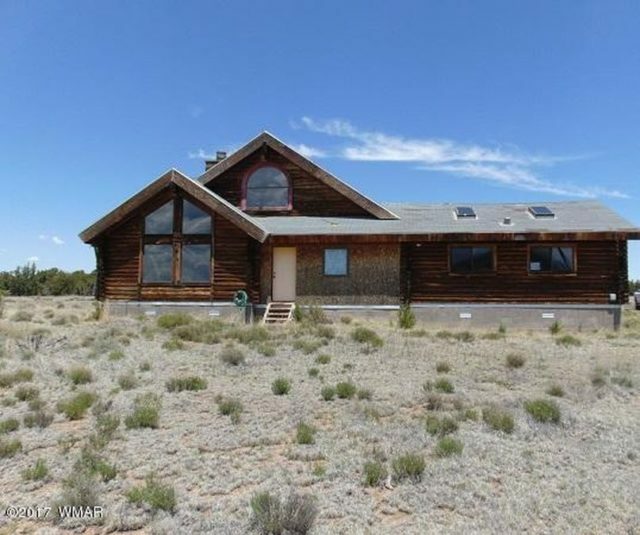 It’s a log-sided custom home on more than 20 acres. 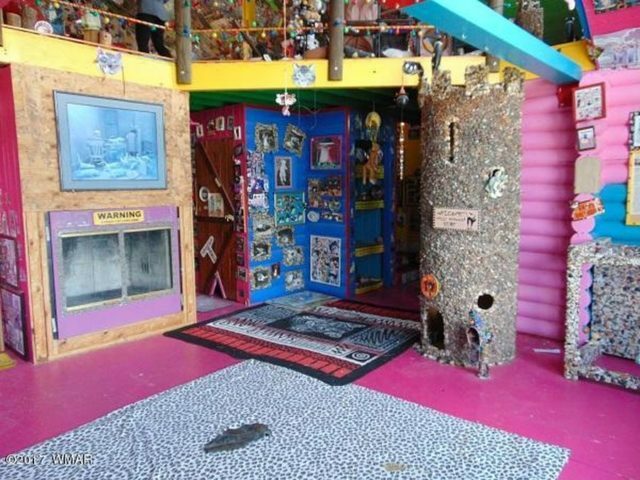 Throughout the home are custom built walkways for cats. So many cats. 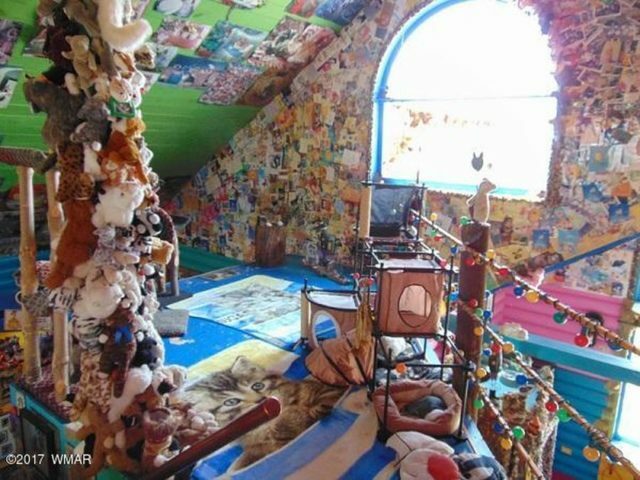 And the decor can only be described as Overwhelmingly Cat. In fact, the great room has a medieval castle for cats. Among the amenities in the house are custom-built hardwood kitchen cabinets of oak, lacewood, and bocote wood, accented with river rock. The kitchen is part of an open floor plan. There are a stove and a sink. I um, don’t know how else to describe it. 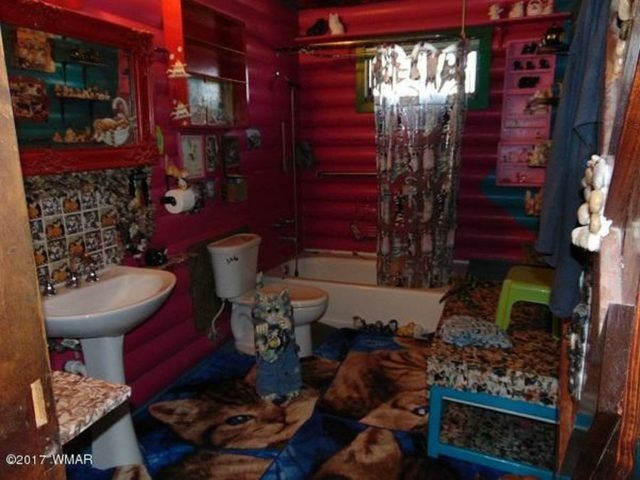 And this bathroom. It’s the only one, and you’ll always be regular because it will scare the crap out of you. What I couldn’t find was places where humans sleep. But maybe that’s the point – if you sleep and have that many cats around, you’re probably going to have to do so with one eye open at all times anyway. 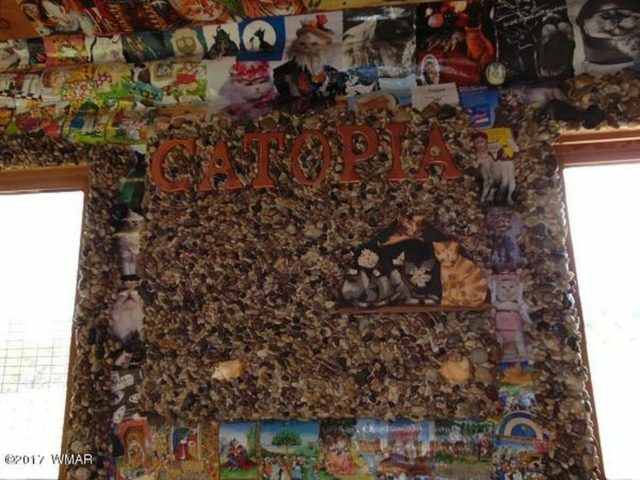 Catopia is listed for $240,000. Go with God.